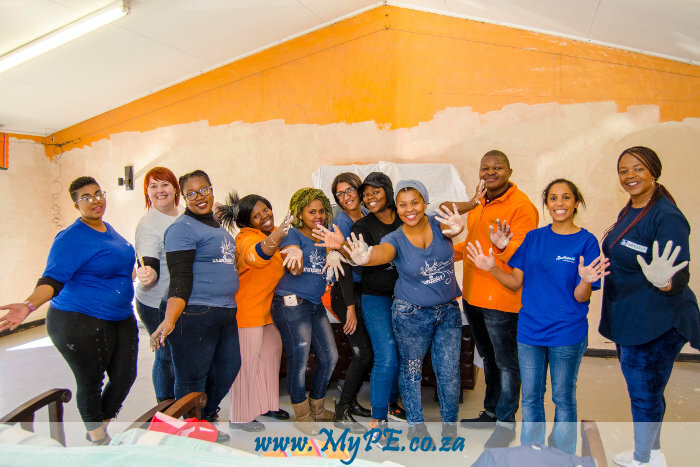 The Radisson Blu Hotel, Port Elizabeth set out to create memorable moments during their Mandela Week with the Blu initiative. This year marks the centenary of the birth of Nelson Mandela. This provides a unique opportunity for people around the world to reflect on his life and times and to promote his legacy. Radisson Blu Hotel, Port Elizabeth centered their campaign around the 100-year celebration, dovetailing this into on the ground activities at five beneficiaries within Nelson Mandela Bay over a week. Going above and beyond the usual 67 minutes in previous years, they have spent 100 Minutes at each beneficiary. Marketing Manager for Radisson Blu Hotel, Port Elizabeth, Lesley Geyer, says, “It was important for us to encapsulate the heart of Mandela, in supporting the elderly, children, teenagers from troubled communities, adults affected by mental health and the precious animals”. Each day has been different has each beneficiary have a great need, that been fulfilled through donations from corporates and the individuals. Geyer continues to say, “we are extremely grateful to the public who have donated to our projects daily. Today, we had the privilege of providing brand new computers, chairs and bathrooms to the youth from Happydale Hope Centre in Gelvandale – this class of contribution from African Bank is invaluable for the community and will provide a greater foundation of learning for the youth. Atlas will also be securing their premises to ensure no vandalism”. Radisson Blu Hotel, will continue to spread smiles and create memorable moments for the rest of the week, spending 100 Minutes in celebration of what would have been Mandela’s 100th birthday at P.E. Mental Health tomorrow and Save-A-Pet on Friday.